The USGBC Florida Capital Region Chapter provides educational programming for everyone in the green building community. Whether you are an industry professional new to green building, just working on a green project, pursuing LEED credentials or continuing education credits, or if you simply want to stay informed, our USGBC workshops and Branch programs are ideal for you. Why should you learn about green building? are among the most qualified, educated and influential green-building professionals in the marketplace. prices for the highest quality LEED education offered by anyone in the region. By being a member of our nonprofit organization, not only will you save monies and secure your credential of choice and all of your CEs and CEUs, but also all of the terrific benefits of local USGBC membership. Check back here for details of upcoming workshops and online education opportunities. Congratulations Capital Region and all companies that had even the smallest hand in this ongoing market transformation. To join the Chapter family, click here. LEED Store -- Reference Guides and more. LEED Accredited Professionals -- Select individual credentials on the left side of the page under the “Professionals” option. 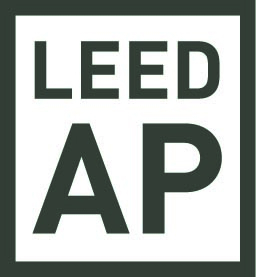 LEED APs who are local Chapter members -- visit our online Membership Directory (many cross-searches are also available). The USGBC's GBIG (Green Building information System) is a global innovation platform for exploring and comparing the green dimensions of the built environment. GBIG is the premier search engine for green building data, providing tools that allow project teams, portfolio managers, investors, product manufacturers, researchers and the general public to discover green buildings around the world, generate insights and accelerate market transformation. GBIG is organized around activities (projects at or within a building), buildings, places, strategies and collections. Users can navigate this incredible resource through these main areas, browse featured content, or simply enter keywords in the search. Thanks to the USGBC's stong focus on Advocacy, we are now be able to access state-level green-building data in real time. These State Market Briefs are data visualization dashboards that provide a quick look at LEED and USGBC data specific to a State. The visualizations can also be exported as pdf files to share with neighbors, friends, colleagues and elected officials. This resource provides cumulative registered and certified project totals, project achievement totals, gross square footage, project totals broken out by owner type and space type, USGBC member organizations by type, credential holders, links to Chapter(s) serving that particular state, and a project profile scorecard. The USGBC will make market briefs for countries outside the USA upon request, and plans to add LEED Homes and LEED ND data in the future. Check out Florida and your home State!